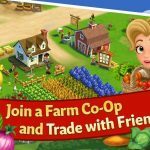 Not too long ago, we had given you some FarmVille: Harvest Swap tips and tricks, but we’re back for more, since we do recognize this game’s popularity on both Android and iOS platforms. 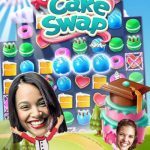 As a recap, this is a title from Zynga, the same company that gave us the original FarmVille, but this isn’t your average farming game – it is, instead, a Match 3 puzzle game that still has a lot of farming elements present. However, the focus is solving puzzles similar to how you’d go about playing a game like Candy Crush. 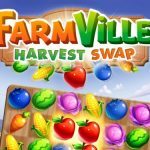 Once again, we do know this is a very popular title, and we know the introduction of Match 3 dynamics can throw some veteran FarmVille gamers off, which is why we’re back with even more tips and tricks for FarmVille: Harvest Swap. Matching four pieces on your board will give you a glowing fruit, and if you create another match using this special piece, that’ll give you a sunbeam, which could clear entire rows or columns based on the direction they shine in. But how do you determine which direction the sunbeam will work? It’s simple – matching vertically will give you a horizontal sunbeam, while matching horizontally will have your sunbeam working vertically instead. It’s all about opposites in here. Now, if you’re able to match five pieces or more, you can create “super-crops” that could really benefit you, regardless of the fruit or vegetable you’re matching. In addition, barrels can collect a sizable number of crops in one go, which could serve you well when a level asks you to gather so many fruits or vegetables of a certain type. Use them in conjunction with your prize crops to do a lot of damage to the board. As long as you’ve got at least three of the same kind, you’ve got a match. But don’t settle for these basic matches – if you see the opportunity to match more than three pieces, then go for it by all means. If you get the chance, ask for help from the bunnies. They just might be able to help those pieces fall the way you want them to. 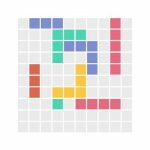 But always make sure you’ve let them do their job first before making another move, unless, of course, you see the opportunity to create a match of five pieces or more. If you’ve got some “plumped” crops, you’ve got some serious potential to add to your total score. Still, there are some considerations in such a situation – for example, would you go for a match of three 5x fruits or vegetables, or would you go for a match of five with some single-count pieces? It will all depend on where you currently are at, or what you need to do in a level, so think things over, as there’s no hard, fast rule when it comes to choosing between those two. I have just been awarded 300 tickets , but don’t have a clue to how to use them. Can I get a little help?